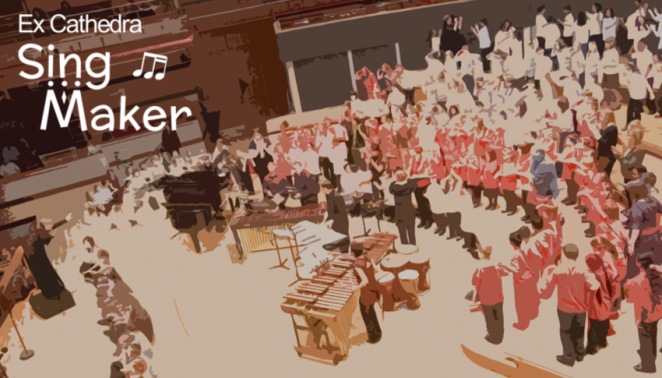 SingMaker engages large groups of children and students in singing in a creative and dynamic way for stand-alone workshops or for more unusual devised performance events. Project content comprises repertoire devised by Ex Cathedra’s team to develop musicianship and vocal skills in an immediate and fun way. SingMaker has successfully been delivered in a range of settings and events for schools and festivals including week-long projects at Shrewsbury International School, Bangkok; with students from Tower Hamlets at the Wigmore Hall, London; with 600 children dancing and processing through the ICC Mall into Symphony Hall, Birmingham; with 1200 children in Butterworth Hall at Warwick Arts Centre; and with 2000 children in a park. SingMaker is the ultimate “big sing” event. Contact us to discuss your requirements and we can help you create the right project for your school, festival or music hub. 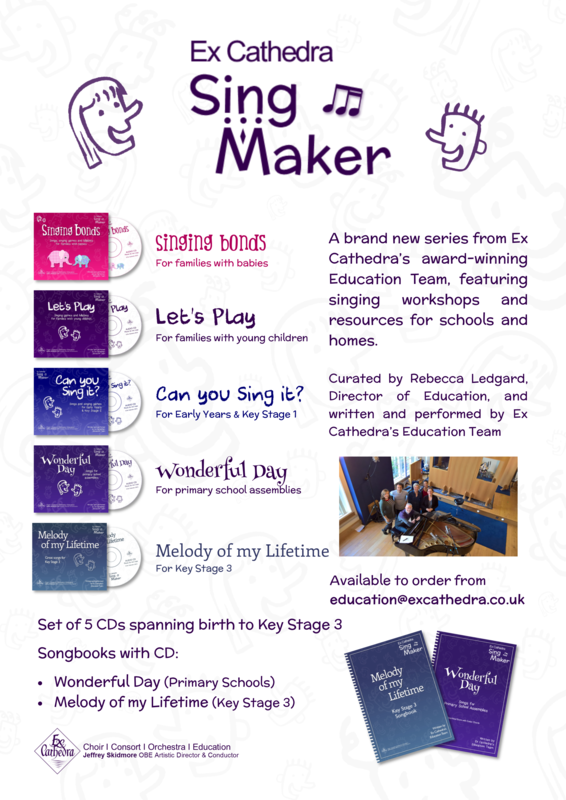 Available to purchase is our new SingMaker songbook containing over 60 original songs, interactive CDs and downloads for families with babies and young children, the Early Years classroom, the Primary School Assembly and KS3. See our flyer below for more details. All prices include VAT (where appropriate) and are plus postage.